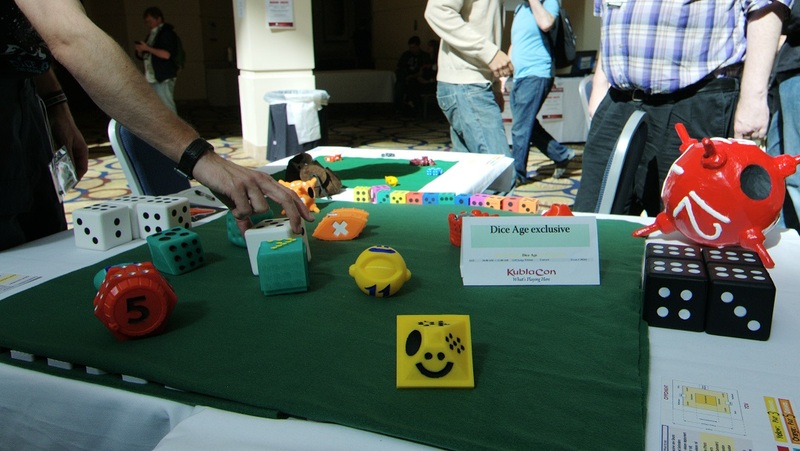 Two weeks ago I helped my friend Tristan Convert present his crazy shape dice game called Dice Age at the Kubla-Con. This is a big board gaming convention in the bay area and we had the honor to be located in the lobby where everyone was passing. Explaining the rules tens of time loudly to cover the back noise was demanding on our voice but the experience was interesting. 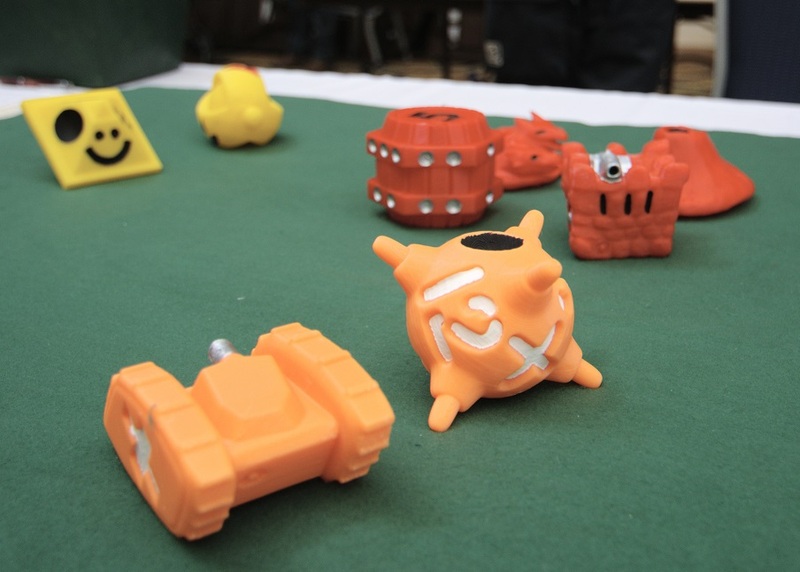 Dice age is a fast pace (10~15 minutes), two player game were both player are using strange shape dice that represent fighters and effects to destroy the opponent castle. Tristan is currently molding and painting each dice by hand which is a herculean task. Participating at the convention was the best way to validate that the current set of rules was working and ready for the prime time. The short term goal is to find an industrialization solution to use plastic injection and mass produce the final product. While the game is interesting in its current form, we needed something to attract people eyes. 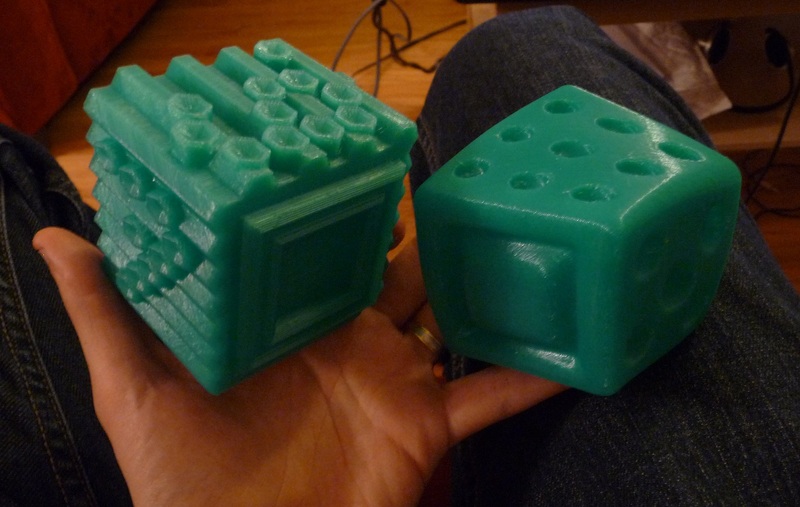 So two weeks before the convention we decided to print a giant 300% set of these dice for the show. Each of these dice was about 15cm side and took 8 to 12 hours to print on the 3D touch. 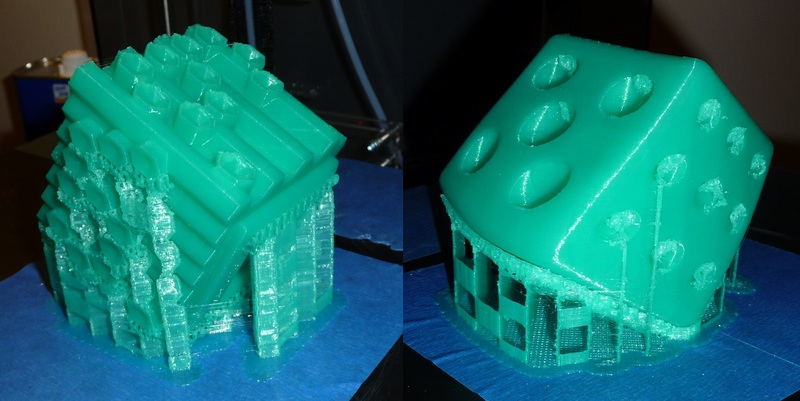 I had to experiment to figure out what printing angle was the best to get supports that could get cleaned easily. My process was to use the free version of Nettfab to scale and rotate properly the original STL, then using Kisslicer for the slicing/supports/G-code generation. In most of the case the supports are relatively easy to remove, provided you avoid large horizontal surfaces that needs to be supported. In this case a knife and patience are the only way to get rid of the support and the final surface finish is not really clean. 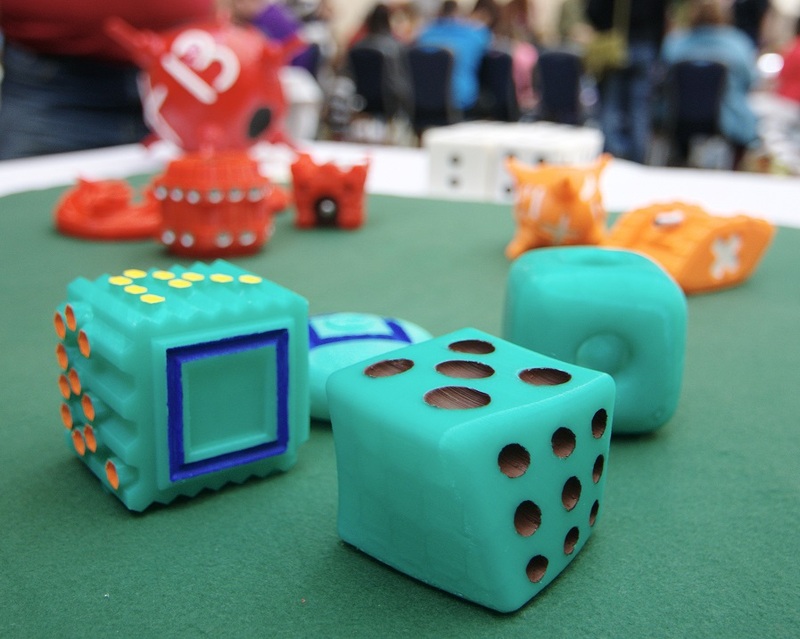 After a marathon print session were the printer was working 24/7 for more than a week and hand painting using standard acrylic paint, the result was a stunning set of 12 giant dice that did the show for us and attracted many players and photographs. This entry was posted in 3D printer, 3D Touch printer and tagged 3d printing, 3d touch, additive manufacturing, Dice age, stl files on June 2, 2013 by damienideas.